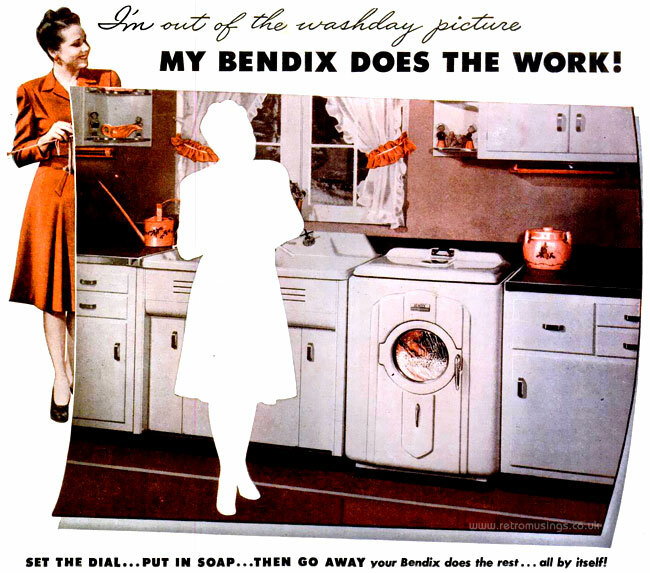 These ads for Bendix washing machines are from 1946-47. 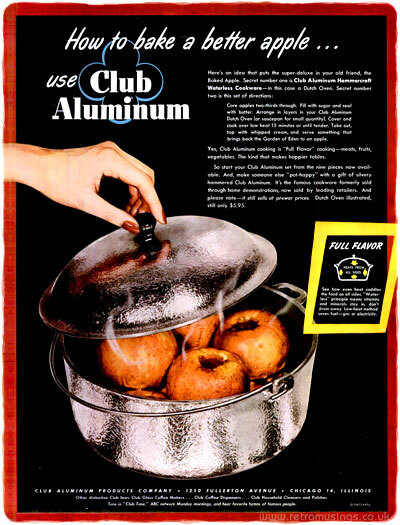 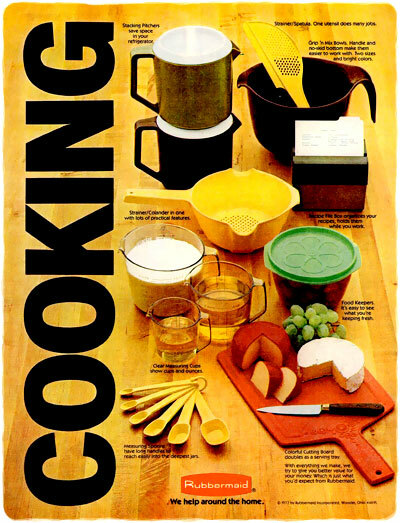 These eye-catching, black-background ads for Club Aluminum cooking pots and pans date from 1945-47. 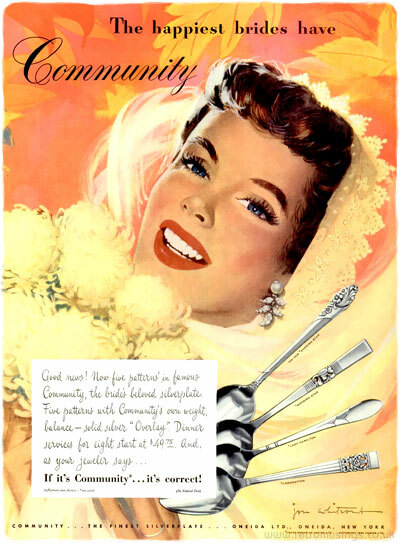 This illustrated ad campaign for Community silverplate cutlery date from 1942-43. 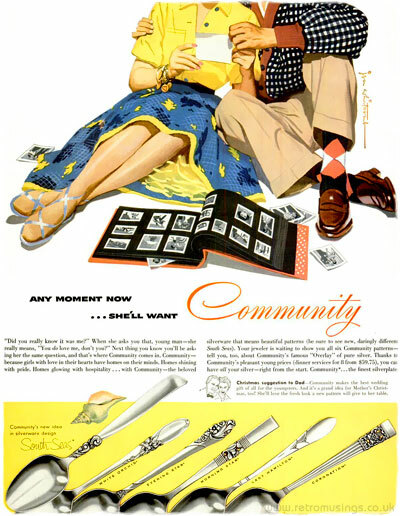 The artwork was by Jon Whitcomb, Alex Ross plus a few unsigned illustrations. 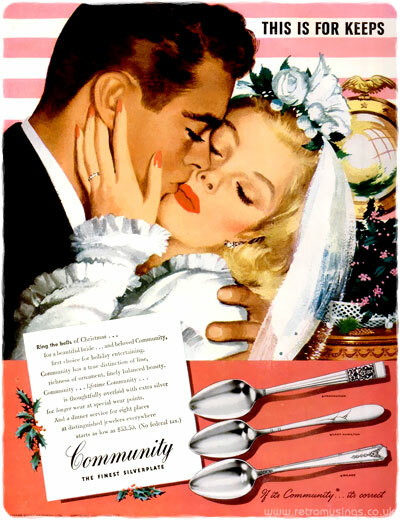 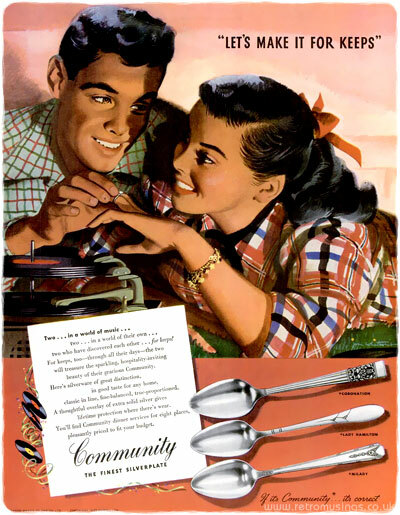 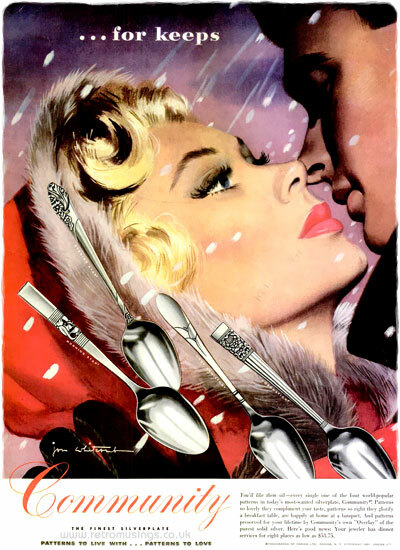 This illustrated ad campaign for Community silverplate cutlery date from 1943-45. 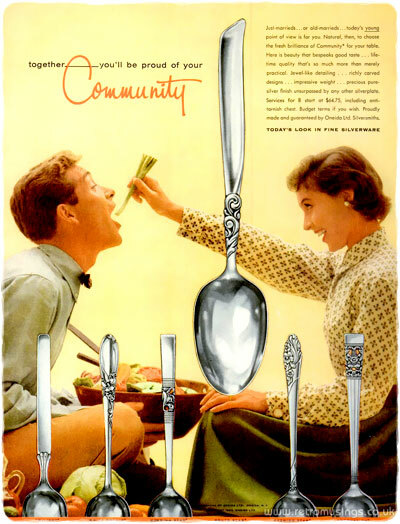 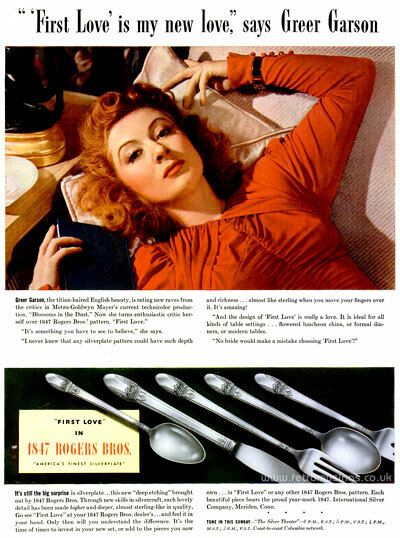 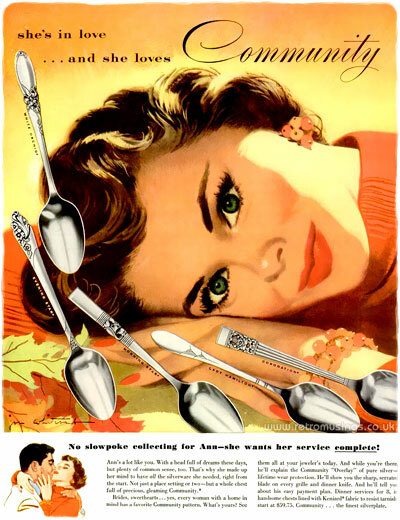 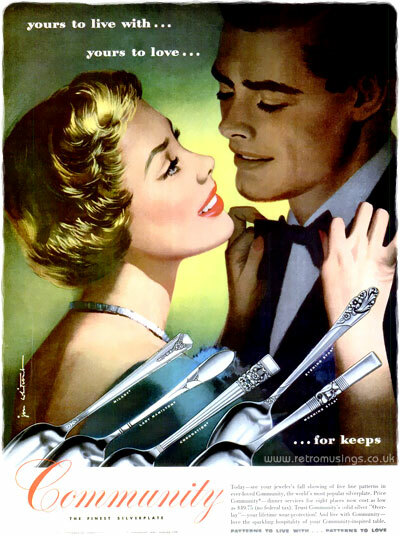 This illustrated ad campaign for Community silverplate cutlery ran throughout 1946. 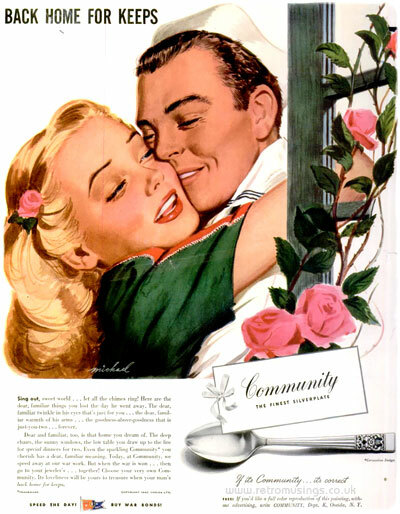 The artwork was by Jon Whitcomb and featured young couples getting married. 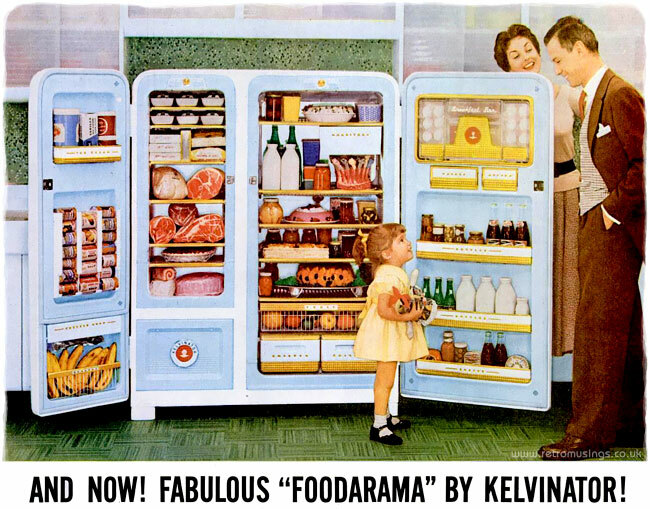 These futuristic, sci-fi inspired Frigidaire ads are from 1966. 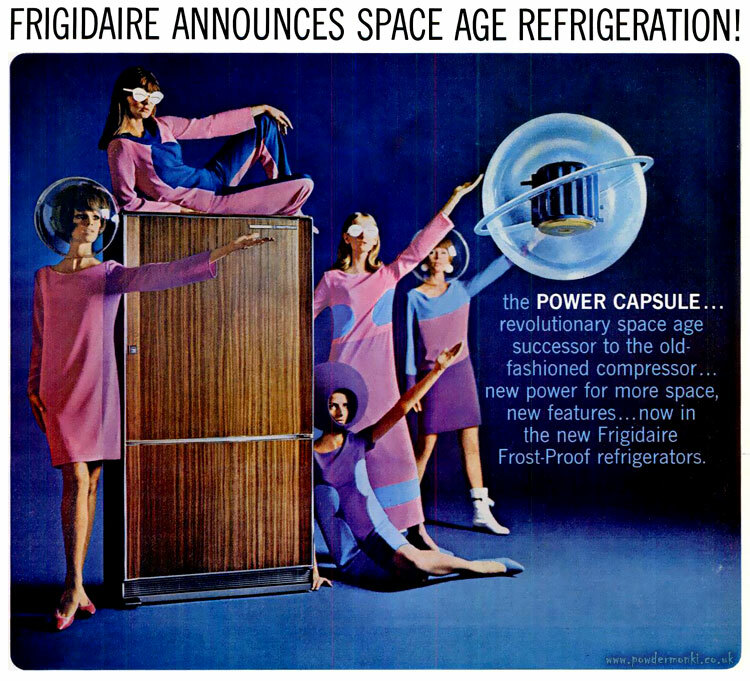 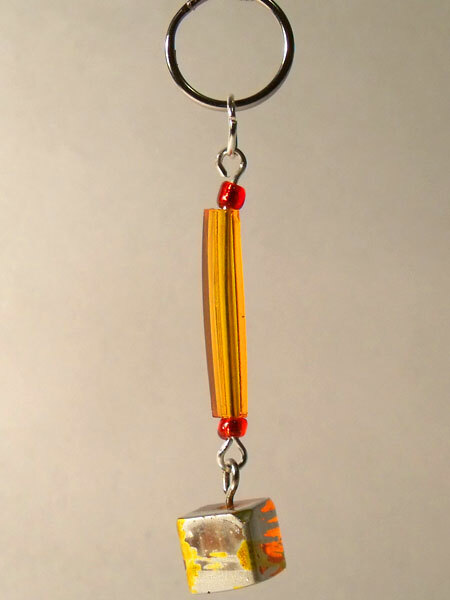 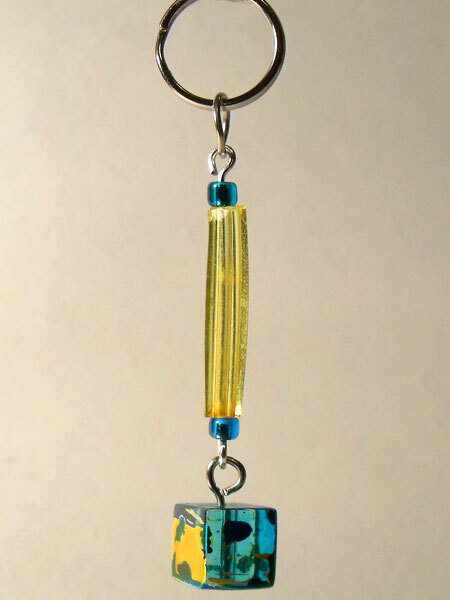 They all feature sixties clad models wearing bubble space helmets (or possibly fish bowls). 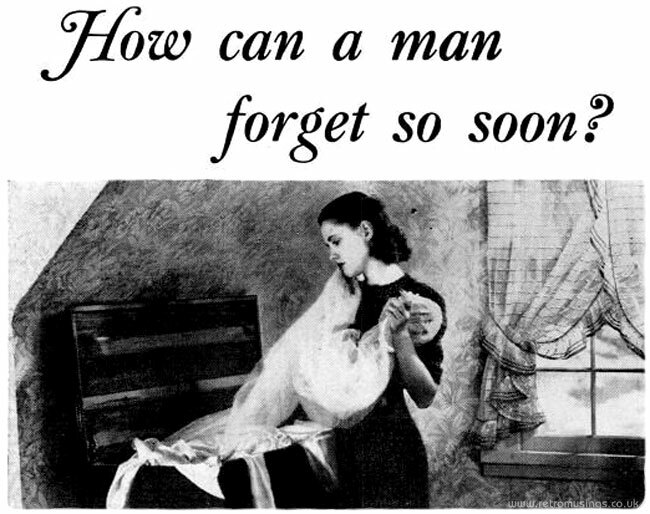 This article is from a 1943 edition of Life magazine. 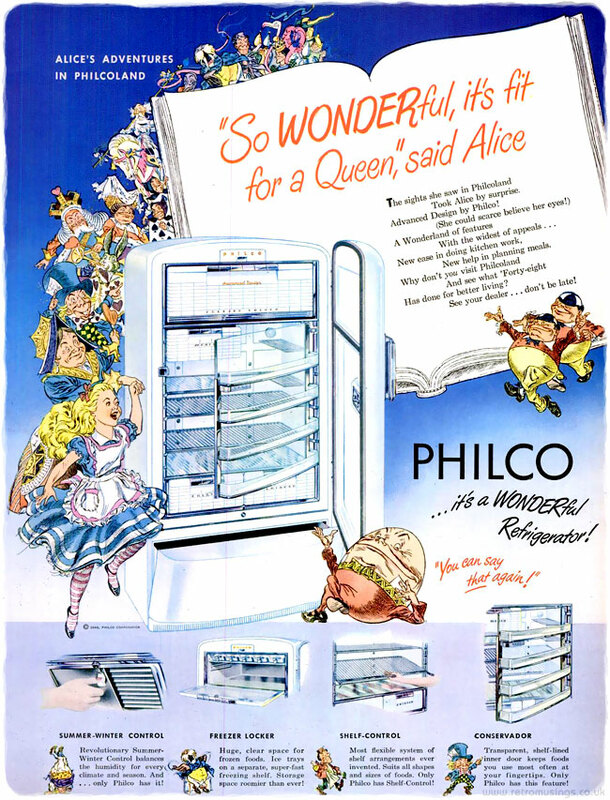 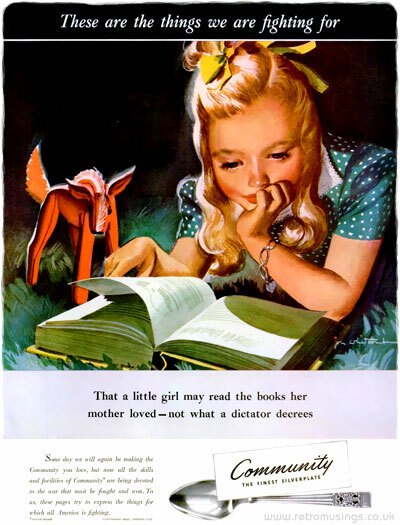 This ad campaign for Philco refrigerators date from 1948 and featured illustrated characters from Alice’s Adventures in Wonderland. 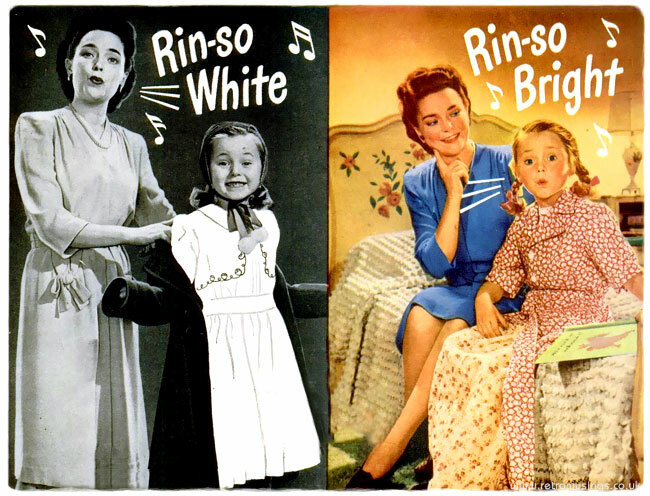 These ads for Rinso laundry detergent are from 1945. 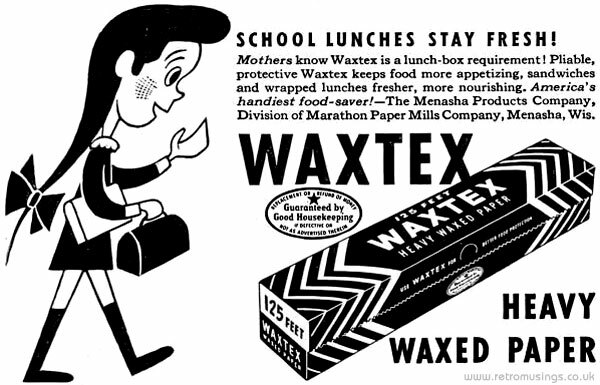 These striking black and white illustrated ads for Waxtex waxed paper are from 1942-43. 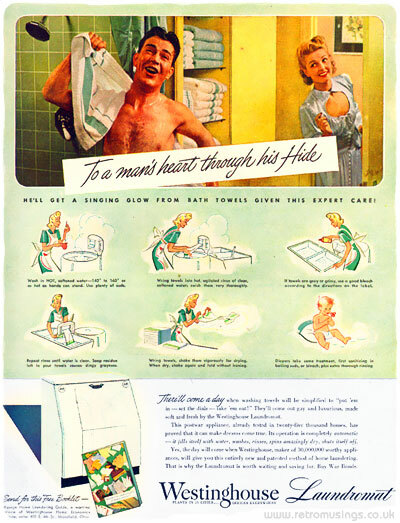 These ads for the Westinghouse “Laundromat” washing machine date from 1944-45. 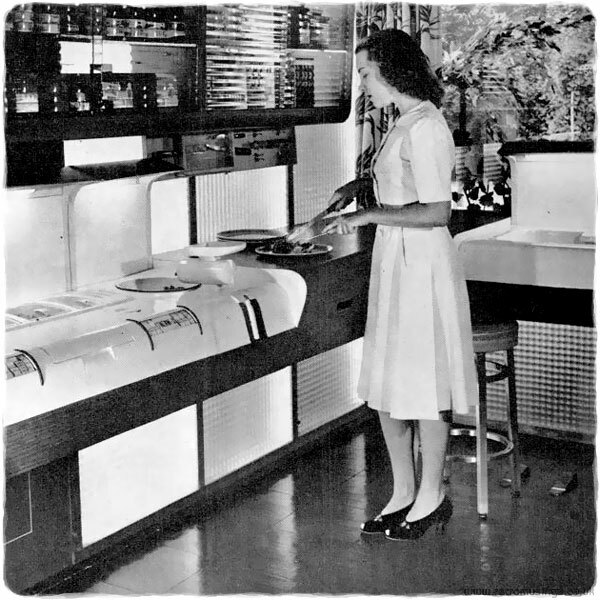 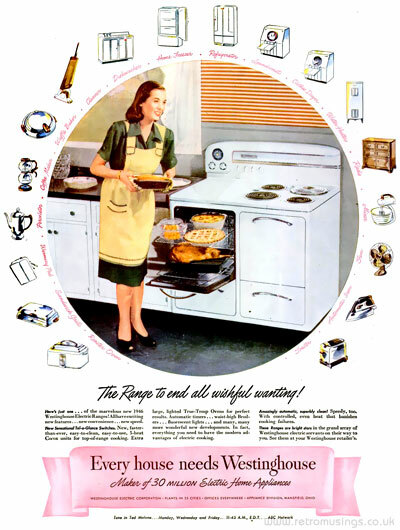 These style of ad campaign for various Westinghouse kitchen electricals date from 1946-49.